Have a valid Comet Card. Be registered for the current semester. Apply on or after the first day of class in the semester for which you registered. A DART Student Transit Pass allows you to ride all Dallas Area Rapid Transit buses and trains, plus TRE [Trinity Railway Express] Zone 1 (The Trinity Railway Express from Union Station to CentrePort / DFW Airport Station). Dallas Area Rapid Transit (DART [Dallas Area Rapid Transit] ) and UT Dallas are partnering to provide affordable access to public transportation for UT Dallas faculty and staff members who wish to obtain an annual DART pass. 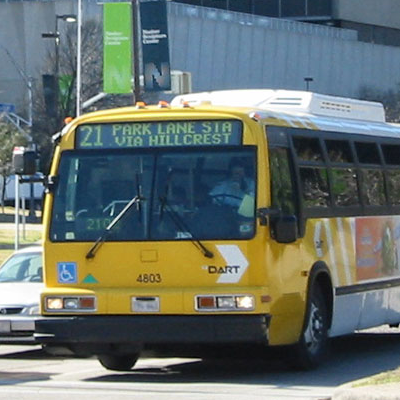 UT Dallas employees may purchase a discounted annual Local DART Transit Pass at the Parking and Transportation Office located at Parking Structure 3 (PS3 1.200). If you are a current benefit-eligible member of the UT Dallas faculty or staff with a valid Comet Card, you can purchase a DART [Dallas Area Rapid Transit] Local Transit Pass for the discounted price of $720 (normally $960). From December 1 through February 15, these passes are available for $360. 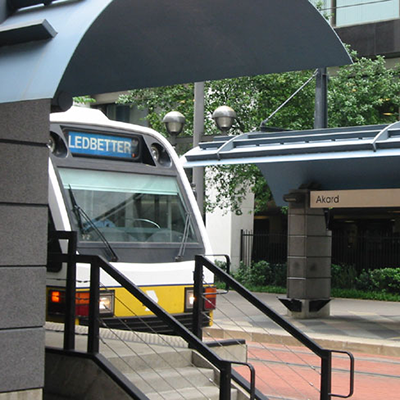 Thereafter, local DART [Dallas Area Rapid Transit] passes are available at the DART corporate rate. Passes are valid from January 1 through December 31, and allow you to ride all local Dallas Area Rapid Transit buses and trains, GoLink, DART On-Call, and FLEX service, plus the Trinity Railway Express from Union Station to CentrePort / DFW Airport Station (TRE [Trinity Railway Express] Zone 1). Complete a DART Pass Application (PDF [Portable Document Format File] ) and send it to park@utdallas.edu. Wait to be notified that your application has been processed and approved. After approval, come to the Parking Office (PS3 1.200). You will need to bring your Comet Card. If you have a current 2018 DART pass, you will need to bring that as well. Do not destroy or dispose your current 2018 pass as we will be performing a valuation update to make it eligible for 2019 use. Make payment for your DART pass. Payment must be made in full via credit or debit card when your DART pass is issued. Your pass belongs to the University of Texas at Dallas and is valid for your use and you alone. Please do not attempt to alter your pass, duplicate your pass, or give it to someone else to use. The University reserves the right to confiscate your pass for its unauthorized use; DART [Dallas Area Rapid Transit] reserves the right to prosecute you. For more information, call 972.883.7777. Before you report a pass as lost or stolen, you may want to contact DART [Dallas Area Rapid Transit] Lost and Found (214.749.3810), UT Dallas Police Lost and Found, or Transportation (park@utdallas.edu / 972.883.2344) to see if anyone has turned it in. If you find a pass, please send it via campus mail to Mail Stop SSB21. Report your lost or stolen pass to park@utdallas.edu / 972.883.2344 so we can disable it electronically. We will reissue your pass after you request so in writing, and accompany your request with a new DART Pass Application (PDF [Portable Document Format File] ). In addition, if you are a faculty or staff member, you will need to pay a non-refundable fee of $600; Depending on the month when your pass was lost or stolen, we may opt to pro-rate this fee. If you lose your pass three or more times, we reserve the right to stop issuing passes to you.